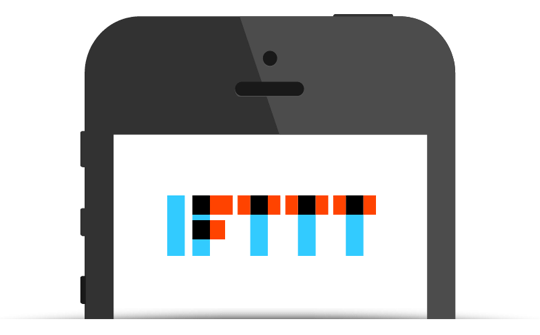 IFTTT (If This Then That) have released a brand spanking new iPhone app today (click the App Store link at the bottom of the article to download it). For those of you who aren’t aware of IFTTT, it is an online service that allows you to set up and create connections between a number of available services (“channels”) and programme automated actions set off by triggers. For example, you could set up a “recipe” which is triggered every time someone tags you in a photo on Facebook such that a copy of the photo is saved into your Dropbox folder. It is much easier to understand if you just go and have a look and a play about yourself. In any case, the big news from today is that now they have an iPhone app that will allow you to view your existing recipes, turn them on and off, create new ones etc etc. In fact you can do pretty much everything you could do on the website – PLUS MORE! 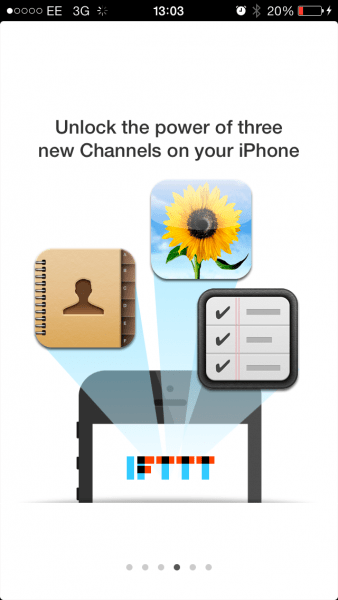 The iPhone app now unlocks three new channels that will be available to you – iOS Contacts, iOS Photos and iOS Reminders. 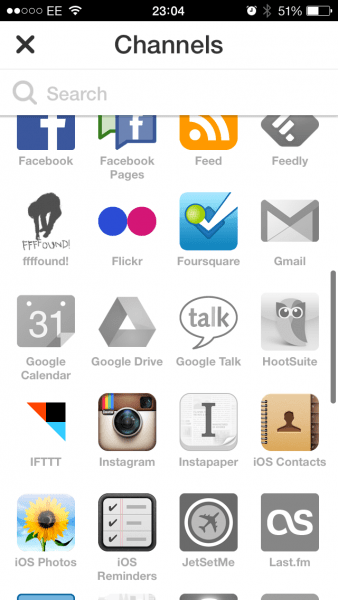 If you are an existing IFTTT user, then this is an absolute no brainer. The app is well thought out and well-designed, and makes it far easier to be adjusting your recipes on the go. If you haven’t come across IFTTT before, then head over to their website to check it out – you will be surprised at how many channels are available, and you will soon start to wonder how you ever lived without it (I certainly do now)! The best place to start is to browse through some of the most popular shared recipes that other people have created – that will give you some inspiration and give a bit of an indication of how powerful IFTTT can be. A couple of screenshots are below, but check out our Facebook page to see more.